Previews are the best way to have a clear idea of how you will look on the day and ask any questions you may have. It’s a great idea to save any pictures of hair and makeup you like and bring them along to your preview for reference. As there are a bilion ways to do a smokey eye or curl your hair it is best to bring a photo for clarity. You may not find a perfect photo where you love every-single-thing, but there will be elements from the photo that you can point out. Ensure that you arrive with clean dry hair with no product in it so that I have the perfect base to work with. I recommend that you wash your hair the night before – thoroughly shampoo twice and do not apply any conditioner or treatments at all. Please also roughly blow dry with no product in it. It is near impossible for me to make your hair look like the desired style if the hair is oily or contains unwanted product. Your hair may feel very dry and a little straw-like but I will make your hair look absolutely beautiful as this is the perfect base for me to style with! If you are bringing clip in human hair extensions please follow the same process as above. ONLY If you have an afro hair type you may use a small amount of conditioner on mids to ends and pre-straighten your hair. Wear white or soft neutral coloured clothing for your trial over bright or heavily patterned clothing. Why? Because your preview makeup will be designed to mimic and complement your bridal look and certain colours will clash with your trial makeup. You are likely not to like your makeup if you are wearing the wrong coloured clothing. If you can’t wear white please avoid brights or heavy patterns. The exception is if you are having a non-traditional or cultural dress, then our advice would be to match the colour of the dress as close as possible. Be consistent with your skin tone, if you are having a spray tan for the wedding day then ensure you have a spray tan for your preview otherwise your makeup will appear entirely different on the day. It’s not just the foundation colour that is affected but every undertone of every product used from eye shadows to blush and eyeliner. The key is to treat the preview like you would your wedding day. If you have short or fine sparse hair and want to have a full long wavy hairstyle then it’s a great idea to invest in hair extensions for your preview. You can opt for clip-in hair (recommended) or the more permanent tape extensions to achieve length and fullness. Are you considering a hair colour change before the big day? Hold off on having your preview until you’ve got the hair colour you want, (or as close to it as possible), so you can get a better idea of how you will look on the big day. 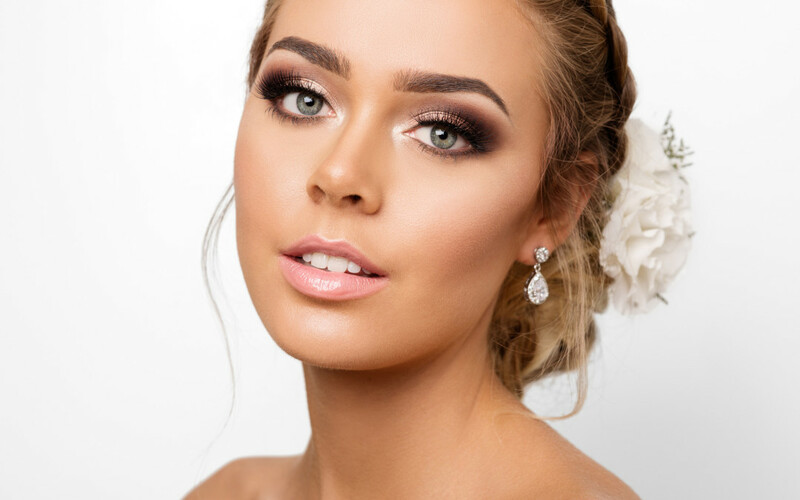 Your makeup will look so much more polished if you have tidy, groomed eye brows so be sure to find a brow stylist you love and trust to keep them perfect for your preview right up to your wedding day. If you’re feeling a little furry on your upper lip it’s a good idea to have this area waxed or threaded, plus, the makeup will sit a lot nicer on this area and the lip colour won’t “catch” in the hairs. Give any facial waxing or threading 5 days before your trial to settle down in case you are sensitive or prone to breakouts. If you’re the type that doesn’t often wear much makeup then avoid going too bold because no matter how beautifully it has been done, it’s likely to be too much of a shock to you and you may not end up liking it. This applies to those that love a dark eye shadow or thick eyeliner, if you are used to it then stick to it! If you are having a veil or other hair accessory it is a great idea to bring it along as it always looks more finished with an accessory and we can provide placement advice and options to compliment the style. I have veils in my studio if you’d like to get a general idea of how a veil would look with your hair style. One of the most important pieces of advice I give to brides for their preview is to bring a friend, but not just any friend, a supportive one. Someone that you can rely on to give an honest and helpful opinion, whom will be a wonderful and encouraging support to share this special experience with you. My studio space is limited to the bride and one support person only due to space and your comfort; as the old adage goes, too many cooks can spoil the broth!